Right then. Well it's still technically thursday in the UK (16 minutes to go as I type!) and, as promised, here's another cartoon. 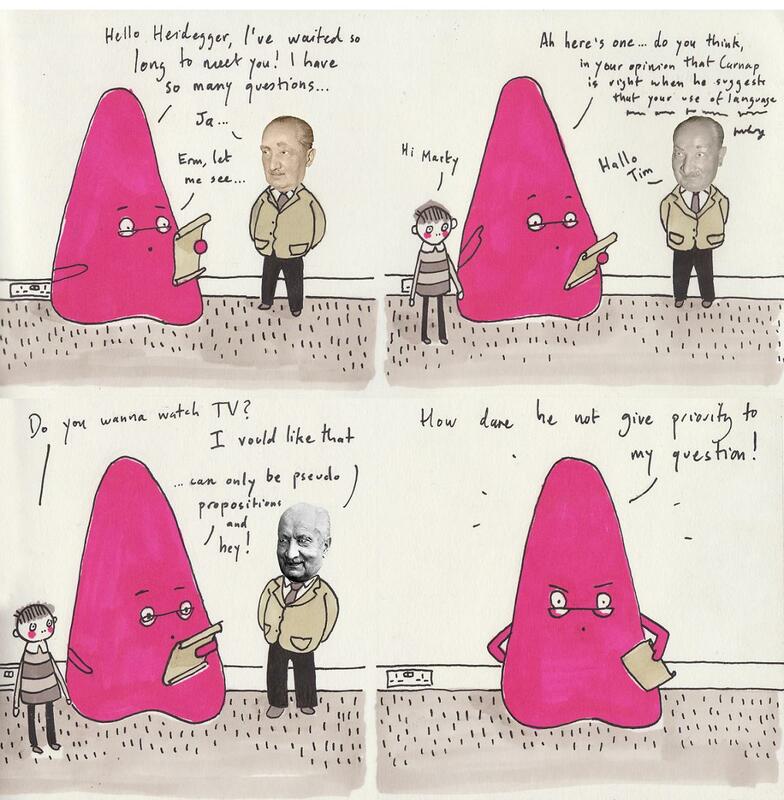 I am too tired to write much, as I spent all evening photo-shopping Heidegger's face. He looks a bit camp, but then he seems to be a bit of a camp icon in this comic, as you may have guessed from the video I made back in March. In a nutshell, Heidegger's project was precisely to give priority to the question of Being, i.e to explore what it means to actually be, the categories this involves and such. He explores this in Being & Time, the book that started this comic off in the first place! Hence Being's outrage....!